Cyprus Property for sale, high quality homes, Villas, and appartments for sale in Ayia Napa Protaras Cyprus. Moreover, with so much to offer, private swimming pools, sea views, stretches of sandy beaches within walking distance you won’t be disappointed. Karma Developers are specialist developers and constructors of beautiful properties in Cyprus, from luxurious villas and houses to ideally-located apartments, tailored to suit your needs. Giovani Developers’ history has been built upon the philosophies of its founder, Christakis Giovanis who had successfully developed a construction company into the biggest Property Developing Company in the South Eastern Coast of Cyprus. Today Tapolos Developers specializes in building exclusive developments in and around the areas of Paralimni, Kapparis and Dherynia. 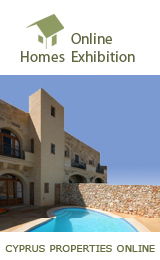 SNK Venus Home Developers is a leading developer on the south east coast of Cyprus. Although we keep our prices competitive - our standards of construction are unrivalled - and your options limitless. Enjoy our island and its people under the roof of Toumazis Properties. A trouble free investment lasting more than a lifetime. Our portfolio of detached and terrace houses, residential flats and commercial buildings offers unrivalled value for money.